Welcome to Episode 25! This week’s conversation is with Beck Biser. 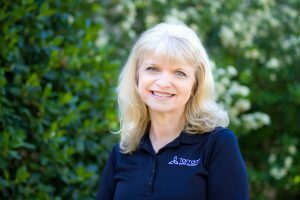 Becky Biser serves as Director of Leadership Development for Tarrant Baptist Association. She began working for TBA in 1977 as a staff member at what is now called Riverbend Retreat Center. She later joined TBA as a ministry assistant. Becky is a connector and an influencer. She is an Associate Certified Coach (ACC) through the International Coach Federation (ICF) and serves as a faculty member of Coaching4Clergy. She is a certified Church Consultant through the Society for Church Consulting and a certified LifePlan and StratOp facilitator. She navigates churches, associations, and retreat centers through the Church Unique Vision Pathway. Becky lives on mission by shining to empower God’s chosen. The Antioch Project is a 5 year, ministry leadership training program developed by the 17:6 Network for men and women who feel called to full-time vocational ministry. It provides participants hands on training and leadership skills development in a peer cohort under coaching. Students can also earn a Masters of Divinity degree if they join the Antioch Immerse specialty track. Audience participation to celebrate 25 Episodes: Take a picture of where you are when you are listening to the Ministry Mentor Podcast and use #MinistryMentorPodcast when sharing the picture on social media. Take care of your self – diet, exercise, rest. Show up your very best every day. Join me next week for Episode 25, a conversation with another ministry leader.